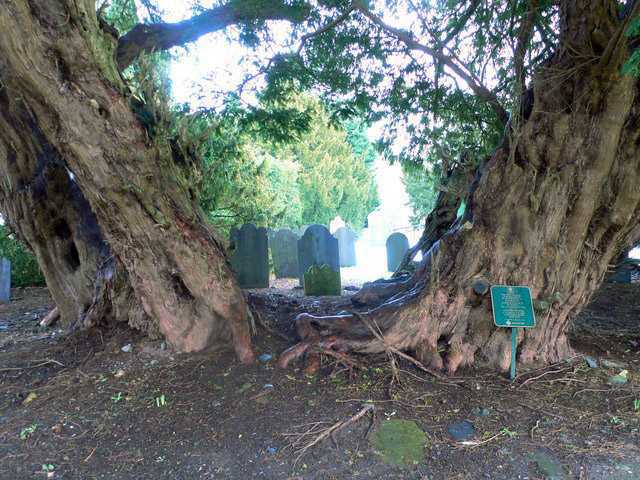 The Llangernyw Yew often is declared to be one of the oldest trees in the world. 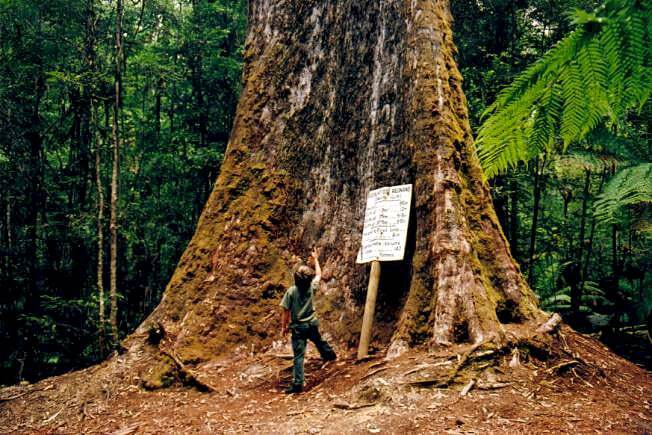 The exact age of this tree is impossible to tell but there are estimates that it is 4,000 – 5,000 years old. Is it really 5000 years old? Unfortunately Wondermondo could not find out – how exactly this age has been calculated. The core of the tree is lost – thus it is not possible to count the tree rings. There is a possibility that this impressive number is based… on tradition (e.g. old rumours). Whatever: it is certain that the age of this magnificent tree is measured in thousands of years. If the hypothesis about the 5,000 years age is correct, this yew was growing already in the Bronze Age. The tree had to be enormous already by the time when the first Christian shrine was established here. It is possible that this happened in early medieval times, although the current church is not earlier than the 13th century. Most likely a shrine was here well before the coming of Christianity. Next to the wall of the church are two standing stones, with the third as a stepping stone between them. Primitive crosses are etched in each of these stones – a common practice of church to "Christianize" paganic idols. This weird portal now leads directly in a blind wall – but who knows, where it led before the church was built here? Llangernyw Yew has lost its core. Now there remain several large parts of the original tree – they look like separate stems now. In spite of its incredible age, the tree is vital and green. It was under grave danger recently – in the 1990s in the hollow was located oil tank. Lots of dead wood were removed in order to build it. Happily the value of the tree was observed and there was not significant pollution. 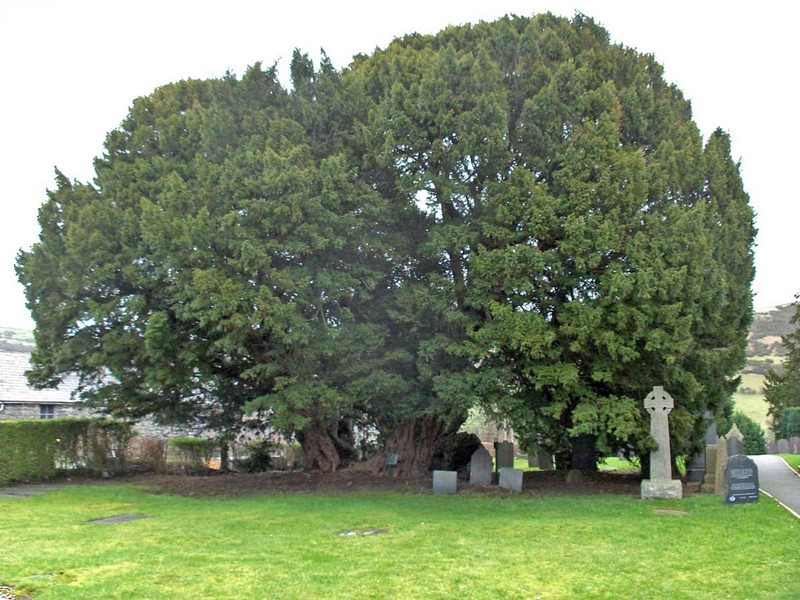 Often there is mentioned that the famous ghost of Llangernyw – the dreary Angelystor – is spelling its prophecies under the yew tree. This is not entirely true – legend tells that this is happening in the nearby church. 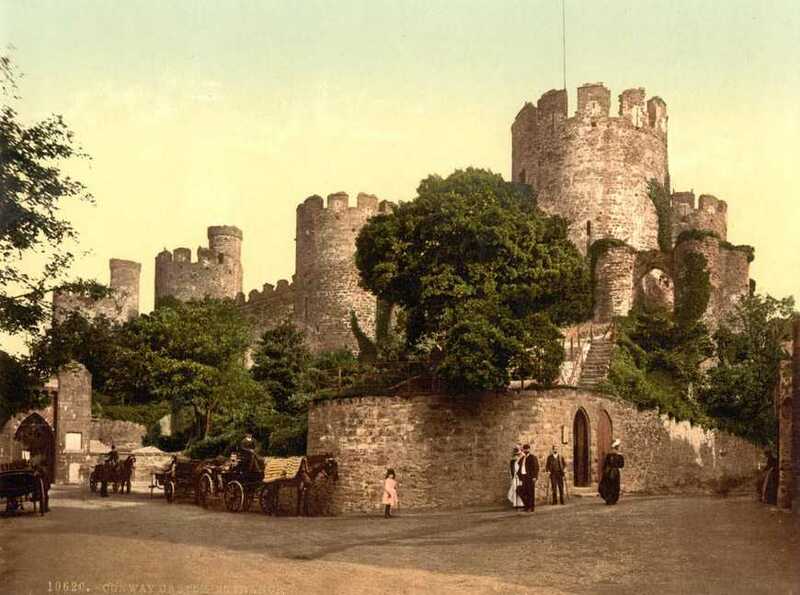 Conwy walled town and Conwy Castle – magnificent monuments included in UNESCO World Heritage list. Country houses – there are well preserved country houses from the 15th – 17th century. The yew is one of the most fascinating and versatile life forms on Earth, botanically rich and intriguing, and culturally almost without comparison. This impressive study of the yew reveals that in history, mythology, religion, folklore, medicine, and warfare, the yew bears timeless witness to a deep relationship with mankind. It is the tree that Darwin often rested beneath and under which he wanted to be buried.